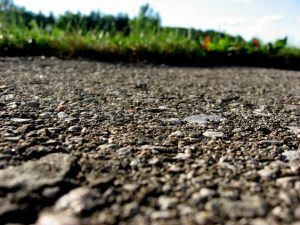 A recent BBC report has announced that a company that uses plastic bottles to make road building material has opened a new factory in Scotland. The material they produce will then be used to build roads in the region. This technology has already been used in other places around the world and when you first think about this it sounds like a really good idea. We have lots of plastic waste and not enough recycling facilities, so surely this will keep it out of the environment which is a good thing …. right? Plastic pollution and our obsession with single use plastic in particular is having a huge impact on the environment, ecosystems, coastal communities and potentially human health and this will help … won’t it? Whenever I see amazing solutions to problems like this I think it’s always a good idea to use that well known phrase, “What could possibly go wrong.” Unfortunately, our history is littered with environmental, social and economic disasters because as human beings we tend to focus on short term gains and we don’t think through the consequences of our clever ideas to fruition. When Nikolaus Otto invented his ‘Otto Cycle’ engine in 1876 he would never have dreamed that the impact of that one single moment of genius would be a contribution to an increase of global temperatures of a catastrophic level. When Alexander Fleming identified penicillin in 1928 he undoubtedly realised the potential his discovery would offer to medicine and human health, but it is unlikely that he ever envisaged a situation where overuse might actually render many strains of this miracle cure obsolete. When Wallace Carothers discovered Nylon in 1935 the floodgates opened for synthetic thermoplastic polymers. DuPont seized the opportunity, but so did we all. We embraced the convenience of throw-away lifestyles in a feeding frenzy of product development, slick marketing and huge profits. But once again, we didn’t think the whole thing through and once again we are paying the price. 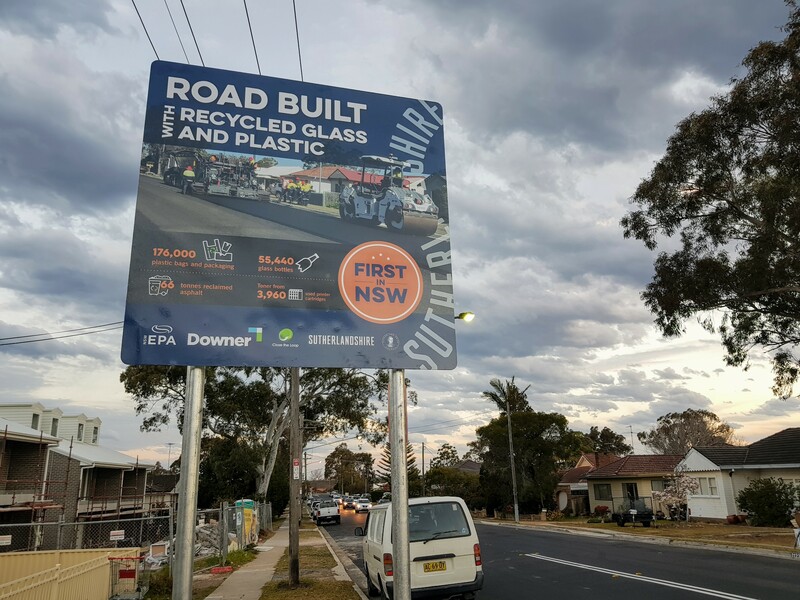 On the positive side MacRebur’s mission, “To help solve two world problems; to help solve the waste plastic epidemic, and to enhance the asphalt used to make our road surfaces around the world” is commendable. So my question is, what could possibly go wrong? As we drive on roads, as well as exhaust emissions, vehicle tyres wear down. These are made from synthetic rubber, a man-made polymer and as far as we know the second largest contributor to microplastics in the environment after clothing fibres. Research has shown that in the UK the wear from car tyres is an average of 63,000 tonnes a year. All of that is washing down the drains and into our waterways and oceans. In the US it is over 1.5 million tonnes a year. Whether or not a ‘plastic road will increase or decrease that figure is, I assume, currently unknown. However transport also has an impact on road surfaces. We know that roads wear down, if they didn’t we would not have to keep repairing them. In the UK this seems to occur with a dismal regularity although that may just be my own perception of the lines of ‘plastic’ orange cones that are so familiar. 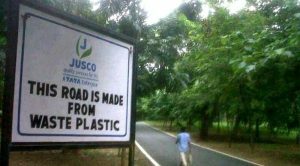 So when plastic roads wear out, where does that plastic that is apparently ‘locked up’ in this material go? What happens to the inherent toxins that exist in many of the plastic materials we use? None of us want to see plastics go to landfill – is this really that different? Have we thought it through? My concerns however, are not just about the potential physical introduction of another source of microplastics into the environment, but also the much wider issues. If we are going to resolve this crisis we have to stop thinking of used plastic material as waste, but as a resource. Oil is finite and if we want to continue to enjoy the benefits of plastic (those that are managed properly) we need to consider the longer term issues and realise the value of this resource. At the end of the day we have to grasp the reality that while new ideas and innovation are going to be an essential a part of any strategic plan to resolve the plastic pollution crisis, we are not going to be able to just ‘technology’ our way out of this situation. Neither can we continue to perpetuate the myth, as we have done to some extent with biodegradeable products, that we can simply find alternatives and everything will be alright. That is an economists view of the world and while it ‘worked for the last 250 years I do not believe we can trust it to work in the future. We need to focus on reduction and actually, without wishing to sound mean, I hope we get to a stage where MacRebur are starved of raw material and they go out of business. Whilst I don’t doubt that the mission statement behind this idea is genuine I am fearful of the outcome. 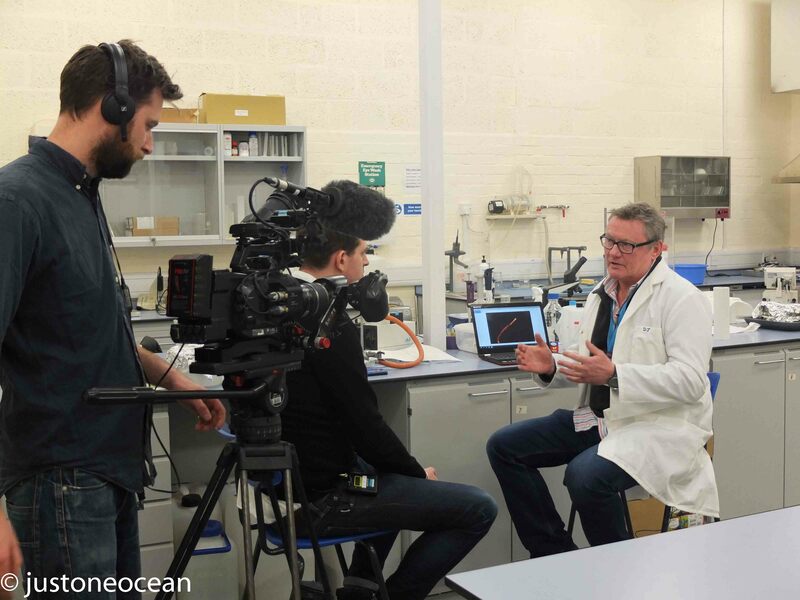 We are gaining more knowledge every day, but we still don’t know what the impact of the plastics will be on the environment in years to come, or the long term implications to human health. Wouldn’t it be safer to simply ask, what could possibly go wrong?